Compliance management solutions company Contiuity is making the banking industry more compliant through a new partnership with Affinity Federal Credit Union. The New Jersey-based credit union, with $3.1 billion AUM, will implement Continuity’s RegAdvisor Pro and RegControls to make its compliance management more efficient. RegAdvisor Pro analyzes and summarizes regulatory changes; monitors the federal register for new issuances; and provides policy review, updates, and board approval using pre-built procedures. RegControls offers pre-built procedures for consumer compliance, BSA/AML, lending operations, deposit operations, and Community Reinvestment Act and Fair Lending compliance. Affinity has onboarded its marketing and PR, loan administration and consumer lending, and mortgage origination divisions to Continuity. “Compliance touches everything, which is why it’s a priority for us to maintain a strong and pervasive culture of compliance. Continuity provides employees with detailed steps for understanding and applying compliance management to their daily functions, making the entire process easier and delivering new levels of transparency,” added Leach. Headquartered in Connecticut, Continuity’s solutions serve hundreds of financial institutions across the U.S. and its territories. The company debuted at FinovateSpring 2010. In addition to partnerships with Iberia Bank and Apple Bank announced earlier this year, Continuity received a Marcum Tech Top 40 Award in 2017. A big hire for Continuity Control as the “compliance-as-a-service” company announced earlier this month that Peter Rawlinson would be taking the helm as Chief Marketing Officer. Rawlinson had previously been a marketing specialist for AppSense, serving as the company’s VP of Marketing for six years and as Chief Marketing Officer for another year and a half. Before AppSense, Rawlinson spent more than four years as VP of Product Management for OpenText. Continuity Control specializes in making it easier for financial institutions to meet their regulatory and compliance requirements. The company refers to its technology as a “pre-programmed Universal Remote” that helps banks and credit unions organize and stay ahead of increased government oversight and combat rising compliance costs. Continuity Control’s solution automates the much of the compliance process to make sure the that everything from annual oversight to periodic review is on point. Continuity Control was founded in 2008 and is headquartered in New Haven, Connecticut. Andy Greenawalt is founder and CEO. In August the company announced raising $10 million in new funding. In June, Gartner named Continuity Control a “2014 Cool Vendor in Services” for its automated compliance management system for small banks and credit unions. Continuity Control demoed at FinovateSpring 2010. The Tech Bulletin profiles Heckyl Technologies. Sonavation announces acquisition of assets of Arkami. Chelsea State Bank launches Larky-powered mobile app. EVRY announces a four-bank, $160 million payments partnership. Kashoo unveils version 4.1 of its cloud accounting and bookkeeping app for iOS. Walmart to distribute GreenDot prepaid products in 2015. BMO Financial Group’s deployment of Xignite Enterprise wins American Financial Technology Award. IT Qlick takes a look at Jwaala Personal Financial Manager and roomMaster. Klarna considers expansion to India. CashStar teams up with Spafinder Wellness. NY Times DealBook looks at disruptive startups in fintech including Lending Club, On Deck, and TradeKing. Forbes.com column on how companies stand out from the crowd features Silanis Technology. Jemstep to power Redhawk Online Advisor. 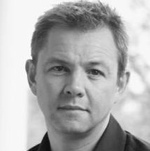 Continuity Control taps Peter Rawlinson as Chief Marketing Officer. EyeVerify raises $6 million in Series A round, joins Wells Fargo Startup Accelerator. Find out more about the innovators of FinovateFall 2014 with Part 2 of our Sneak Peek Preview series. Continuity Control announces $10 million investment. Zumigo earns a spot in, and an investment from, Wells Fargo Startup Accelerator. BlueVine brings in $1.5 million in funding. Check out BlueVine’s live demo at FinovateFall. Four notable website upgrades on Bankbazaar.com. Houston Chronicle features Lending Club success story. Check Point Software Technology positioned as a Leader in the 2014 Gartner Magic Quadrant for Unified Threat Management. Referring to its $10 million investment as “growth funding,” compliance-management specialist Continuity Control says it is even better positioned to expand its regulatory intelligence platform for FIs. The company’s total capital now stands at $12 million. River Cities Capital Fund led the way in an investment round that included participation from BancVue and the family of IBM founder Thomas Watson, as well as others. Impressively, the $10 million raised was twice the amount Continuity Control had initially sought. An innovator in the field of compliance technology for financial institutions, Continuity Control specializes in helping credit unions and community banks reduce the costs and time involved in meeting regulatory requirements. 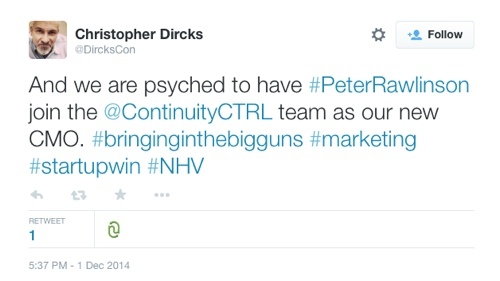 Founded in 2008 and headquartered in New Haven, Connecticut, Continuity Control demoed its technology at FinovateSpring 2010. See the company’s demo video here. 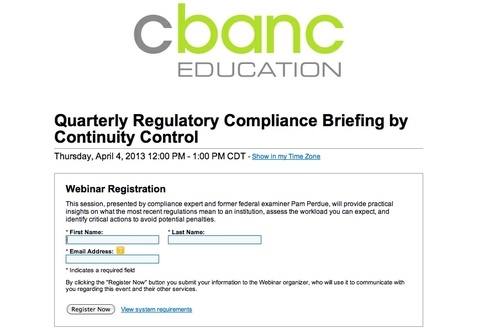 This week, compliance management platform Continuity Control and cbanc Network, a knowledge-collaboration community, announced a partnership. This partnership will make Continuity Control’s RegAdvisor, a quarterly briefing, available through cbanc’s WebEd program. RegAdvisor is a complimentary event to help financial institutions gain a practical view of new compliance regulations, and helps them understand what steps are necessary to ensure compliance. To register for the next RegAdvisor, click here. The terms of this deal have not been disclosed. cbanc Network demoed at FinovateFall 2011, Continuity Control demoed at FinovateSpring 2010.